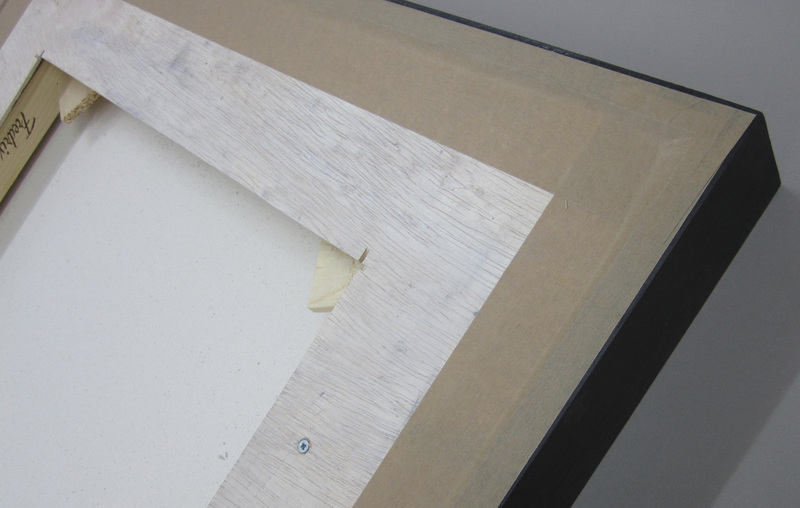 Canvases and panels are usually backed with either plywood or MDF. In the former case a window is cut to allow access to the stretcher pegs. 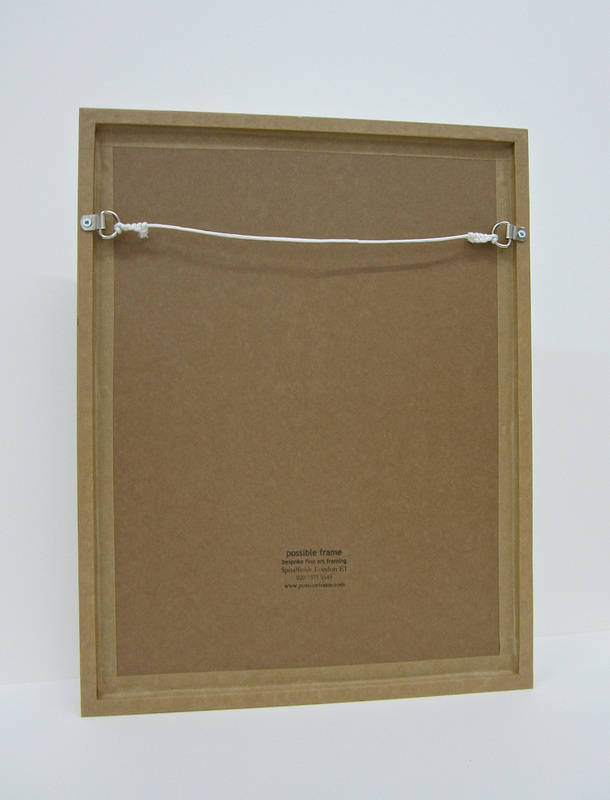 The back of the frame is sealed with either Framers Tape or gum strip. Works on paper are backed with Art-Bak board, which has a water resistant coating and is acid free, or for larger works, MDF or plywood. Very large works will require 6mm MDF. Standard fixings are D-rings and cord (used for most domestic hanging), other options are strap hangers and split battens.